I really haven't dreamed about Mark since he died. At first, perhaps, that was a gift. My mind protecting me, as I inundated myself with thoughts of him during my waking hours. As the weeks turned into months, I wished for a dream of him. Prayed. Begged. Yelled. Became resigned to the fact that perhaps that just wasn't going to be one of the ways he chose to remain present with me. Instead I looked for signs. Songs on the radio, scents, sounds, you name it. Grasping at straws? Perhaps. 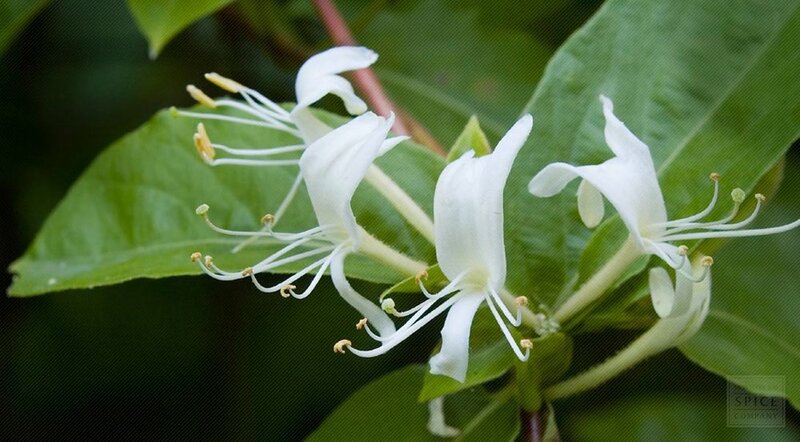 Last weekend as Becky and I started our long run, we passed a huge patch of honeysuckle blooming wild and fragrant on the side of the road. It made something in my throat catch and quite uninvited, a memory came crashing forward. Mark would gently pull a blossom from its stem and bring it to my lips to taste the sweetness of its nectar. He knew so much about flowers and plants, and it was a pleasant surprise the first time he showed this to me. I looked forward to it every time after. We passed that patch again at the end of the run and I wish I had drawn a deeper breath. The run had gone so poorly, my mind was focused elsewhere. I didn't realize. I passed more honeysuckle on my run Sunday, and again on Tuesday, and again today. All on different trails. All with the same catch in my throat, followed by a few short breaths to take it in. That memory and a small smile. A few nights ago I woke up and knew Mark was in my dreams. I couldn't remember a single detail other than the certainty that he was there. Hmm. This morning I woke up and remembered. I was at a ballpark, wandering all over trying to find someone. At the end of the dream I see Mark coming towards me, with a big smile. I burst into tears and run and jump into his arms. Then I woke up. There was no sweetness in those waking moments. I was wrecked. I laid in bed for a couple of hours after, never mind the run I had planned or the office I was supposed to be at. I eventually dragged myself out of bed, opting to work from home, to face a day I had suddenly no interest in facing. Why now? I didn't made the connection until I messaged a dear widow friend today, asking if she ever dreamed of her husband. I explained that I hadn't since he'd died. Her first question was the obvious one and the one that hadn't occurred to me. Was a significant date coming? Yes. YES. In 6 days it will be 18 months since he died. 6 days after that, our 5 year anniversary. Cue clouds parting, lightbulbs lighting, hand slapping into forehead. That is why now. It doesn't make it easier, but it makes it understandable. Bittersweet? Perhaps. But I hope the dreams don't stop. I hope the honeysuckle keeps blooming. I hope the sharpness of the pain from both softens in something like a tap on the shoulder. A kiss on the cheek. A whisper in my ear. Good morning, beautiful.